If you could roast a rose petal, it might smell like the sweet wine that Gerhard Kracher makes from Rosenmuskateller grapes. As your brain fumbles to put a name on the aroma, it mutates into rose petal ice cream and then becomes fresh rose when you tilt the glass and put a few drops on your tongue. 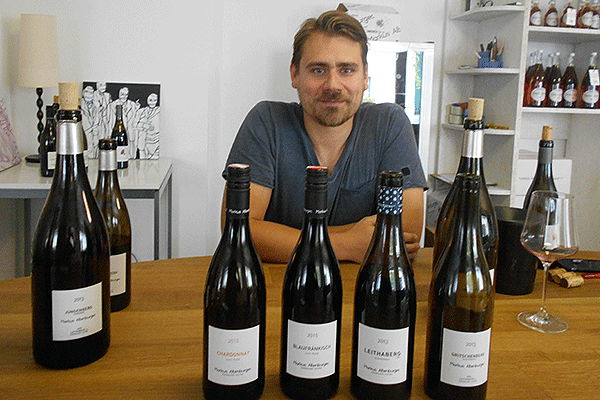 Such is the magic Kracher works in Illmitz, the tiny town in Austria where he makes some of the world's greatest sweet wines, which can turn dessert into a sensory workout. Illmitz lies on the southeastern side of Lake Neusiedl, which like the Dead Sea is an endorheic basin, one that retains water and provides for no drainage. The water that evaporates from the lake helps the grapes in Kracher's vineyards develop botrytis, the fungus that under the right conditions concentrates the sugars in grapes and allows them to develop flavors like the ones in Kracher's 1996 Grand Cuvee, which combines notes of soy sauce, caramel, dried apricots and long-roasted meat. Kracher is the most prominent winemaker in Burgenland, but there's no reason to wait until the end of a meal to drink wines from the area south of Vienna on the Austrian border with Hungary. The region's producers make reds from Blaufranksich that show the grape's many possible expressions and a range of whites, many from Chardonnay. Organic and biodynamic winemaking is popular here, and because producers are able to sell most of their wine in Austria, they're free to make wine the way they want to rather than cater to the international market by harvesting late or using a lot of new oak. Botrytis is a blessing for winemakers when it appears shortly before harvest, but it can destroy grapes if it develops earlier in the season, notes Heinz Velich, who makes wine in Apetlon, a town about two miles from Illmitz. He says that 2014 was a particularly difficult year in that regard, since it rained for two weeks around the harvest. His 2014 TO - the name means "lake" in Hungarian - is a soft, serious wine made from a blend of Chardonnay, Sauvignon Blanc and Welschriesling. Velich uses only stainless steel and old oak and aims to reflect the warmth of the region in his wines, he says. 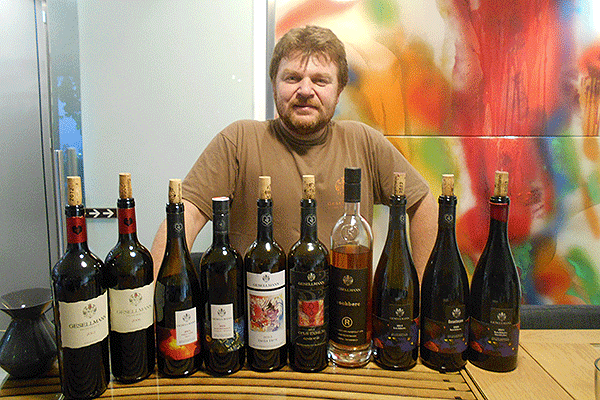 Andi Kollwentz is about 15 miles west of Lake Neusiedl in Grohoflein, so he has the same warm climate in his vineyards as Velich does but less botrytis. Kollwentz's Chardonnays have a California richness to them, and they can age. His 2009 Gloria has notes of pea shoot, sweet corn and fennel and should last another decade or two, he says. In 1981, Kollwentz's father Anton was the first producer in the area to plant Cabernet Sauvignon, and he sent Anton to Bordeaux in the late 1980s to learn how to work with the grape. The influence is still apparent in some of Andi's wines, including the 2012 Eichvogel, a blend of 70% Blaufrankisch and 30% Zweigelt, that has appealing fruit and whose tannins and structure can develop for many years. Blaufrankisch also has a more understated side, which Georg Prieler coaxes from the grape at his cellar in Schutzen am Gebirg on the western side of the lake. 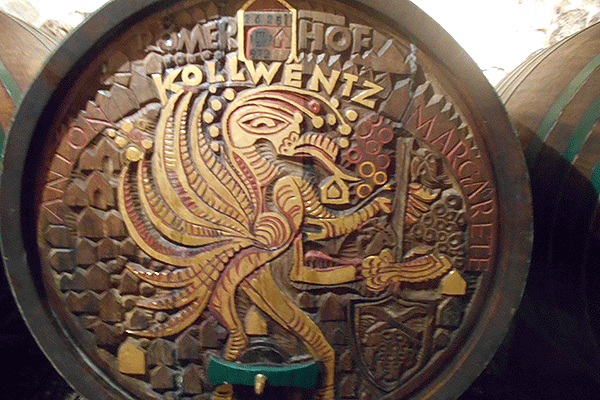 He prefers minimal oak influence, and he has his barrels made with Austrian oak, thick staves and a low toast. Blaufrankisch can ripen late, but Prieler prefers to work with grapes that have more acidity and less fruit than other winemakers might prefer. In his hands, the acidity and the pepper and cherry notes typical of Blaufrankisch result in wines reminiscent of Barolo, as in his 2013 Johannishohe, which tastes of cherries and soy sauce. Markus Altenburger, like all of the producers in this article, comes from a line of winemakers, but he studied business in college and worked for a large winery before returning to the family home in Jois, on the northern edge of Lake Neusiedl, in 2006. His work impressed Aldo Sohm, the Austrian sommelier at Le Bernardin in New York who makes a Gruner Veltliner with Gerhard Kracher, and Sohm helped connect Altenburger with importer Kevin Pike. Altenburger 2013 Leithaberg Blaufrankisch is complex, with notes of bacon and green peppercorn, while the Gritschenberg is darker and more savory, with a light floral note and good acidity. Albert Gesellmann works in Deutschkreuz, just south of of Lake Neusiedl, and his southwest-facing vineyards on Hochberc allow him to make robust, exuberant Blaufrankisches. The 2009 Hochberc, he says, was one of his best vintages, and it's packed with red fruit up front that marries well with spice and smoke notes from the 500 liter oak barrels in which the wine is aged for 30 months after spending 40 days on the skins, which extracts tannin and flavor. After pressing, Gesellmann gives the skins to his friend Hans Reisetbauer, who distills them into a grappa that has the richness of cognac with some black tea smokiness and on the finish a note of cherry - a bewitching spirit that's the perfect way to end a meal featuring the wines of Burgenland.